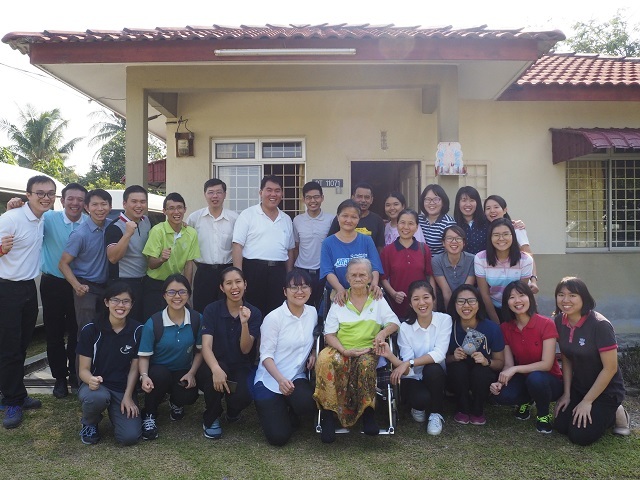 From 14 July to 17 July, 22 saints (including 19 trainees) visited Muar, Kluang, Batu Pahat, Johor Bahru and Malacca, witnessing the Lord’s work and the local church life across these five localities. 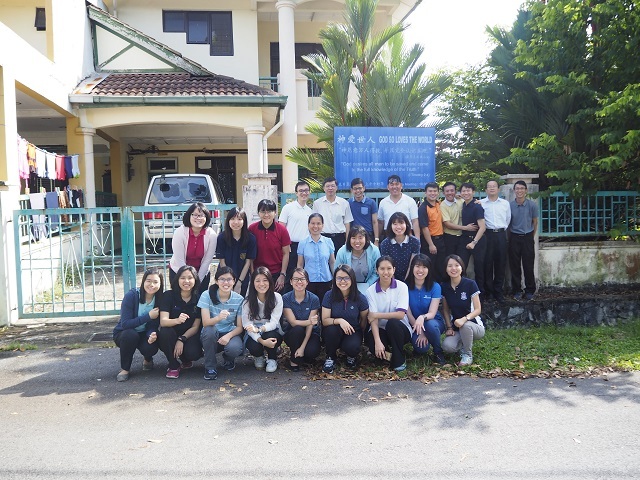 The trip was for four days, including a two-day regional conference in Muar and a gospel meeting in Kluang. Throughout the trip, we were not only nourished and strengthened by their work of faith, labour of love and hope of endurance, but we also had the opportunity to serve by ministering Christ. 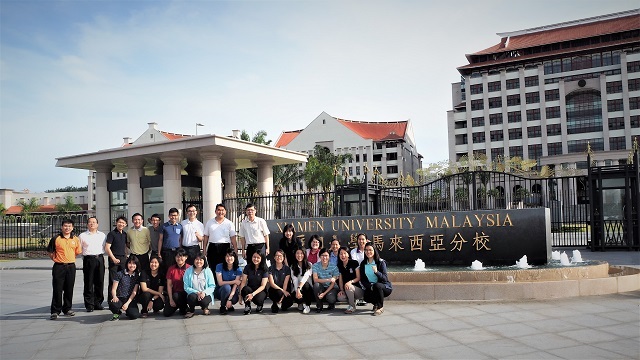 Along our trip, we passed by Xiamen University Malaysia, Nilai and had our lunch with a brother in Tangkak. 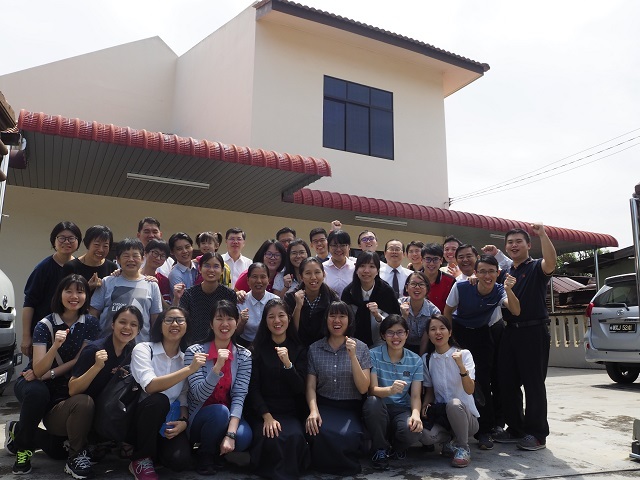 In Muar, we began by praying corporately for the ongoing spiritual warfare during the regional conference, exercised our mingled spirit to uphold the atmosphere of the meeting and served as members in the Body. It was truly a remarkable experience, allowing the Spirit to supply and cross us out for the building up of the Body, bringing forth the reality of the one new man. Through the brothers’ speaking over the conference, the Lord once again uplifted our seeing concerning spiritual warfare and His need. Spiritual warfare does not refer to exorcism as commonly understood in Christianity, but it is to meet God’s need; that is to deal with His enemy and bring in the kingdom of God, thus fulfilling God’s eternal economy. Through the speaking of the ministry, we were brought into the true situation happening now in the universe as presented in Revelation 12, a view where God’s enemy is fighting against Him. On the individual aspect, such a seeing encouraged us to develop a deeper love towards the Lord and to seek for the growth in life. On the corporate aspect, it placed us under the controlling vision of the one new man, to put on the whole armour of God in the church life to defeat God’s enemy. Finally, the brothers exhorted us to build up our appetite for the pursuit of the ministry and to remain faithful to this ministry, so that we will know how to engage in this spiritual warfare. The saints responded to the brothers’ burden and were willing to choose God’s will to fight alongside with Him. 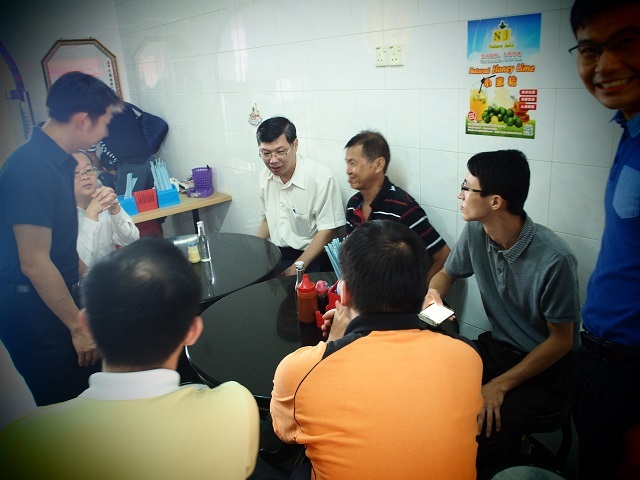 After the conference, we headed over to Kluang to participate in the gospel meeting. We were helped by the brothers through the recent conference and saw that this too was a spiritual warfare. The saints thus came together to pray prior to the meeting, allowing our brothers to make known in boldness the mystery of the gospel. The subject of the gospel is God’s Creation, Man’s Fall and Christ’s Salvation. The brothers helped us to see from the perspective of the spiritual warfare that man was created in God’s image and likeness in order to contain and express God. He created man to represent Him and subdue His enemy. (Gen. 1:26) However, Satan corrupted man. Man fell and became sinners, thus unable to meet God’s need. Thus, God in Christ became a man to solve all negative problems and created a one new man on the cross, hence recovering us back to His original intention. The speaking of the gospel overthrew reasonings and every high thing rising up against the knowledge of God and took captive every thought unto the obedience of Christ. (2 Cor. 10:5) At the end of the meeting, Christ’s victory subdued two gospel friends, and they were baptised into the kingdom of God’s beloved Son that very evening. Hallelujah! Christ the Victor overcame the enemy! 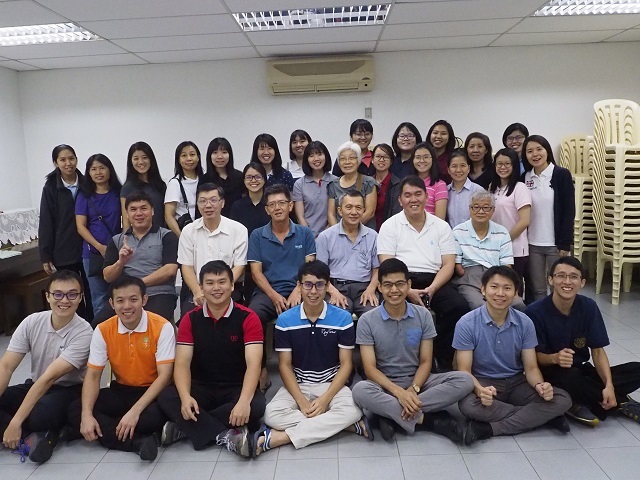 We had a session of fellowship with the saints in Kluang in the following morning. The church, which He built upon the rock, will face various attacks from the enemy from all angles. This is spiritual warfare. As we are at the frontlines, we must know the subtleties of the enemy and his ways so that we will not give any place to the devil. Hence, the brothers brought up the importance of having a proper enjoyment of the Lord and helped us practically concerning our daily walk to engage in this spiritual warfare. We were helped to see the seriousness of disharmony among one another. This will give the enemy ground to attack us and eventually cause us to sin easily. Thus, we must always bear and forgive one another; even as the Lord had forgiven us, we should not give place to the devil to take advantage of us. (Col. 3:13) Such a fellowship softened the hearts of the saints, encouraged them to enjoy the Lord, to forgive one another, and to bring in the building up of the Body. After parting with the saints in Kluang, we travelled to Batu Pahat. 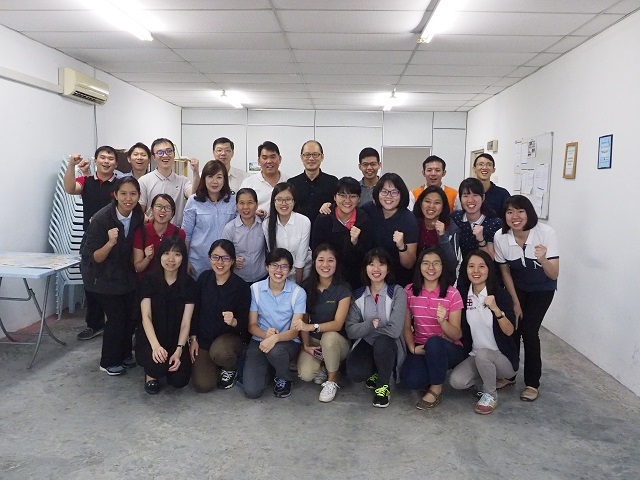 The church in Batu Pahat was produced through the coordination and labouring from the nearby churches and the trainees from the training centre fourteen years ago. The church was mainly composed of campus students and working saints. The church is relatively small, but they followed closely the up-to-date speaking of the ministry and stood firmly in the Lord, amidst the attacks from the enemy. The saints’ hunger for the pure word of the Lord and the seeking of the Lord’s glory and interest was the firm foundation of the church standing over the years. As a result, the saints not only overcame the stratagems of the enemy and was even burdened to bring one another to grow in life unto maturity. We also had the opportunity to visit a family before our departure to the next destination. With that simple visit, we were all mutually shepherded and encouraged. Despite coming from various places, we are members of this one Body, fellowshipping in the one Spirit, expressing the Lord and seeking His interest as the one new man. 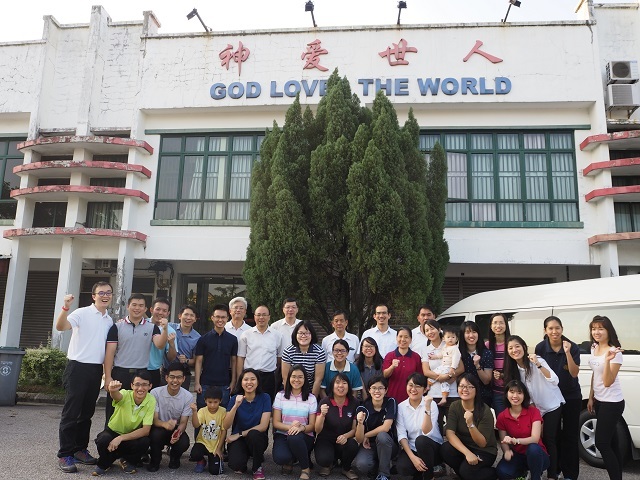 We thanked the Lord for the warm welcome from the church in Johor Bharu and prepared ourselves for the fellowship that night. The trainees shared what they had gained in the regional conference accordingly. The saints were also brought into the burden of the spiritual warfare, saw the necessity of having more prayers, and to be trained, disciplined, and qualified for the spiritual warfare. After having breakfast and fellowship with the saints in Johor Bharu, we departed to Jementah to visit a family. The brother welcomed us warmly with local fruits, nourishing our tripartite being. 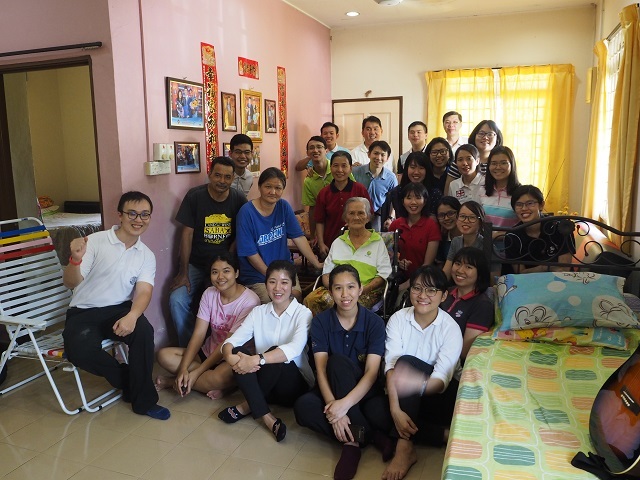 Having a common burden, we visited a trainee’s family in Malacca. As they have yet to believe into the Lord, we testify to them this true and living God so that they might turn to God from idols. During the shepherding, we realised that we had to fight in order to deliver man out of the authority of darkness and transfer them into the kingdom of the Son of His love. (Col. 1:13) Hallelujah! Christ’s victory enables us to stand in the position of ascension, not to be disrupted by the outward environment, but to cooperate with the heavenly ministry of Christ. Throughout the trip we faced many situations, but we were aware that behind the physical scene, a spiritual struggle was constantly taking place. Therefore, we should not give place to our self, but fight against the power of darkness behind these things by means of all prayer. May the Lord preserve His churches to be useful in fighting against His enemy for His interest. May He preserve His recovery to advance forward for the producing of the one new man, to be prepared as the bride to bring Him back!